Update, June 8, 12:20 PM ET: Since the publication of this story, Blizzard has addressed the backlash over patch 11.2 by reverting the changes to Tess Greymane and allowing Quest Druid players whose decks rely on the newly-weakened Jungle Giants card to switch out their decks in this weekend’s Hearthstone Championship Tour Seoul competition. On Tuesday, Blizzard quietly released Hearthstone patch 11.2, whose seemingly-tame purpose was to introduce a limited-time event and a new purchasable card bundle. But the patch came with a few other changes, including “updates” to game mechanics and a long list of “bug fixes” that stirred up some major gameplay issues. In doing so, the patch has injected some unwelcome chaos into the casual and professional communities both. 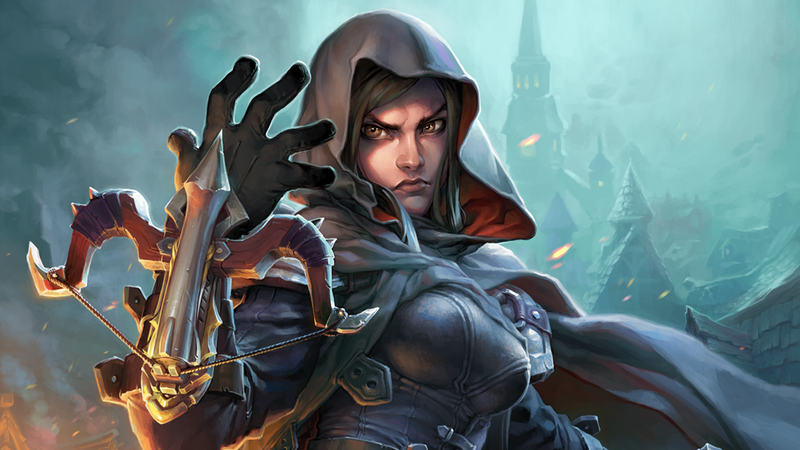 One of the changes affected a legendary Rogue card called Tess Greymane. Tess is a card that randomly casts a copy of each “stolen” spell that the Rogue has cast from another class. The card was hardly seen in competitive play and rarely mentioned in discussions about power issues. But the patch made a tweak to Tess—it now has a limit of 30 spells cast, and if it dies to one of those spells, its effect stops. The change isn’t that big of a deal by itself, but the manner in which it was done is irking players. Usually when Blizzard nerfs a card it gives players the option of taking a full refund for it in dust, the currency that Hearthstone uses for crafting specific cards. However, since the Tess change is listed as a bug fix and not a nerf, Blizzard won’t give out dust for it. This is almost exactly the same change that Blizzard made to a card called Yogg-Saron, Hope’s End in 2016, but in that case the change was listed as a nerf and gave players a full dust refund. Tess Greymane wasn’t the only important card to get hit by these covert 11.2 nerfs. Both the Paladin Legendary card Lynessa Sunsorrow and the Druid Quest card Jungle Giants were affected by other “mechanics changes” that have changed the way they work in the game and makes them considerably weaker—but in these cases, too, Blizzard isn’t giving players the usual refund option, since it’s not classifying these changes as nerfs. On top of all these issues, the 11.2 patch has introduced a series of bugs that hurt the viability of multiple popular decks, including decks that run the Shaman legendary card Shudderwock and decks that run elemental-type minions. While some of these bugs have been hotfixed, there’s still no word on when or even if the rest of the bugs will be. These issues will affect more than the in-game experiences for casual players. According to emails shared by professional players earlier today, pros who are competing in this weekend’s Hearthstone Championship Tour Seoul event will need to play on patch 11.2—but with decks they made before the patch launched, which means that some players will be playing with weakened decks. One player, Fr0zen, uses a “Quest Druid” deck that revolves around the Jungle Giants card. The decision to make him use it as submitted pre-patch will mean that he’s coming into the weekend’s contest with a dud deck. While Blizzard is sure to speak up on some of these issues, they raise some important questions about the nature of Hearthstone esports and the future of card changes in the game: What, for instance, differentiates a “bug fix” from a “nerf,” when the change reduces the power level of a card? What is the logic behind the decision to force players to use their pre-submitted deck lists at HCT Seoul? When will bugs introduced by patch 11.2 be fixed, and will they potentially impact the tournament this weekend? Blizzard said it had no further comment to offer when we reached out to it earlier today.